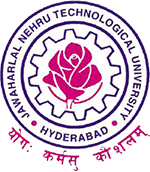 JNTUH B.Tech 2-1, 3-1, 4-1 Sem Supply Exam Fee Notification March 2017, JNTU Hyderabad 2-1 Supply notification, 3-1 Supply notification and 4-1 Supply notification march 2017. Sub : JNTUH, Hyderabad – Examination Branch – B.Tech Supplementary Examinations March 2017 – Notification. Instructions to the Principals-Reg. The Principals of the constituent and affiliated Engineering Colleges are here by informed that the University Examination Branch issues notification for the conduct of B.Tech Supplementary examinations during March-2017. B.TECH – III YEAR – I SEMESTER SUPPLEMENTARY EXAMINATIONS (R13/R09/R07 ) REGULATIONS. B.TECH – IV YEAR – I SEMESTER SUPPLEMENTARY EXAMINATIONS (R13/R09/R07 ) REGULATIONS. is there any chance to pay the 2-1 sem exam fee now..
this will be final chance. can i apply for both the rules have 3 subjects back logs after 4-2in b techAnd I have 18 in external in one subject can add 8 grace marks to pass it, and can I make exception ofother two subjects to get my degree….if yes please answer me when should I apply for them…..please…. i didn’t payed exam fee till now because i wasn’t know about it.can i pay and exam fee last date is over so is there any solution ? please help me.